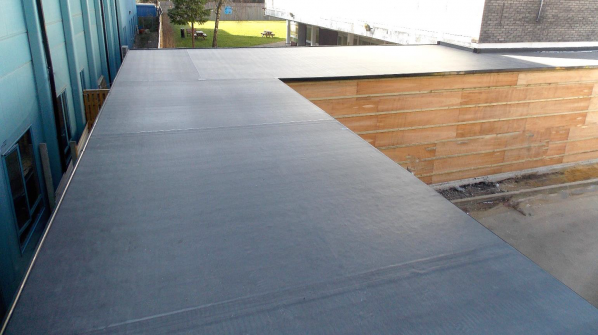 RubberBond FleeceBack was used to waterproof a new annex link to the A&E department of Watford General Hospital. Installed to a timber deck the roof was completed within 3 days to minimize any disruption to the hospital and any other works going on at the same time. The use of low odour adhesives and flame or heat free installation allowed the hospital to run as normal during these works. The in installation has been awarded a 20 year warranty.